I am the kind of girl who believes you can never have enough blending brushes and this one is the perfect addition! Similar to the Mac 217 brush (but oh so much cheaper) I use this brush to really blend the colours together. 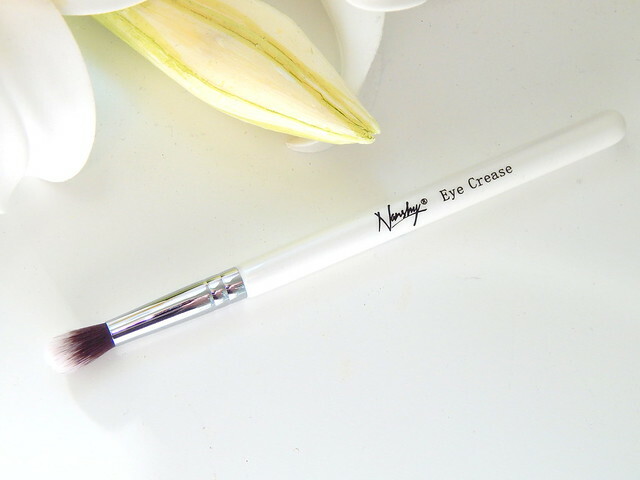 It fits into the crease perfectly which makes it perfect to add just the right amount of depth to the eye and leaves you with a really natural look. The synthetic brushes wash really nice and remain just as soft once they've dried. This has become a staple in my makeup bag and I can't imagine being without it now. Hello life saver! Nope, i'm not exaggerating! 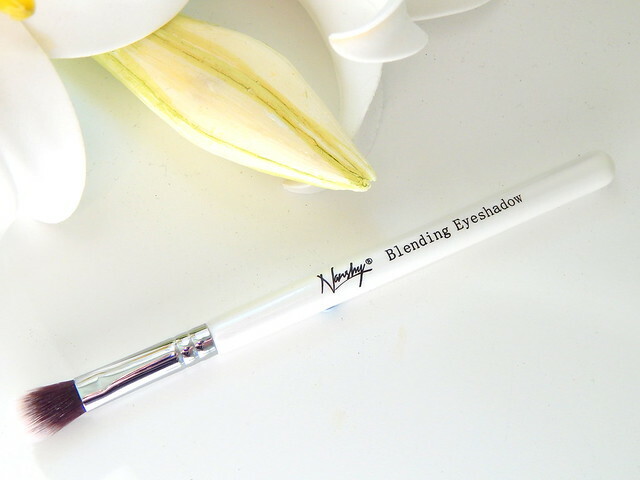 If like me, you cannot create the perfect eyeliner flick then you need this brush in your life. 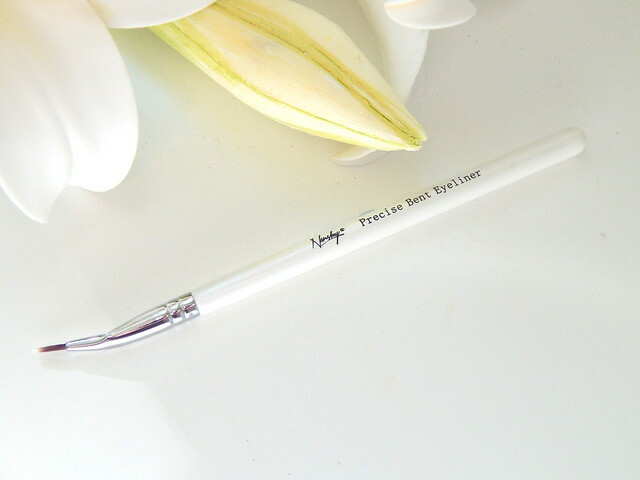 The unusual shape makes it perfect for applying gel liner, I dip it in the pot, draw the flick and then draw the line across my lash line. Honestly, it's that simple. The length is perfect for a cute flick, I cannot rave about this enough. I love the shape and how easy it is to handle, perfect for all us shaky hand girls! If you take anything away from this review, please let it be that you have to buy this. Again, i'm going with the notion that you can never have to many buffing brushes. 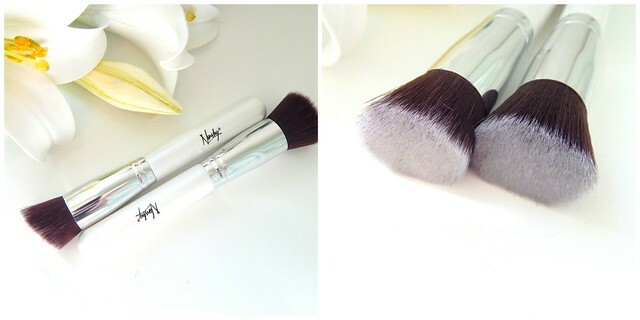 This is slightly bigger and more dense than the Real Techniques Buffing Brush so I tend to use this when I want a more heavier coverage which lasts all day. This gives the most amazing coverage, it looks like you have a completely different skin. I tend to dab the foundation in to begin with and then start buffing it into the skin which gives that perfect finish. I love the look of these brushes too and i'm surprised with how clean they've stayed considering the white handle. This brush is like nothing I currently own, hence why I chose it. It's a kind of buffing brush but with an angled head. At first I wasn't too sure how to use this but then I realised it's the perfect partner for cream bronzer. I simply apply the cream bronzer to my cheeks with my finger and blend it using this. The shape fits perfectly into the contours of my cheeks which means I can achieve perfect cheek bones in seconds (not!) I really love this brush and if you're a fan of contouring then i'd say you need this in your collection. 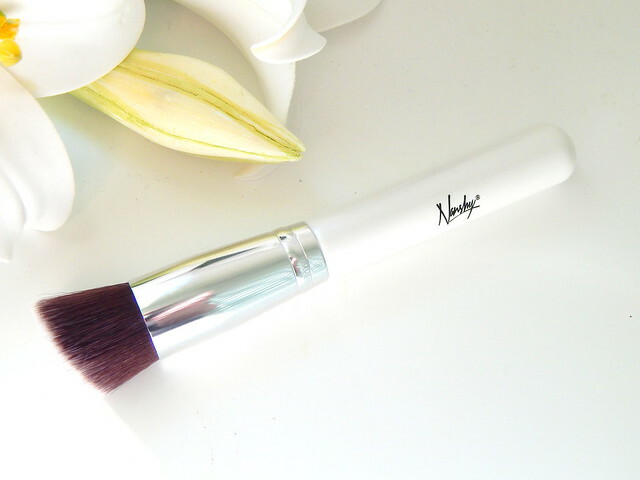 Have you ever tried Nanshy brushes? What are your current staple brushes? Your photographs are absolutely amazing by the way! 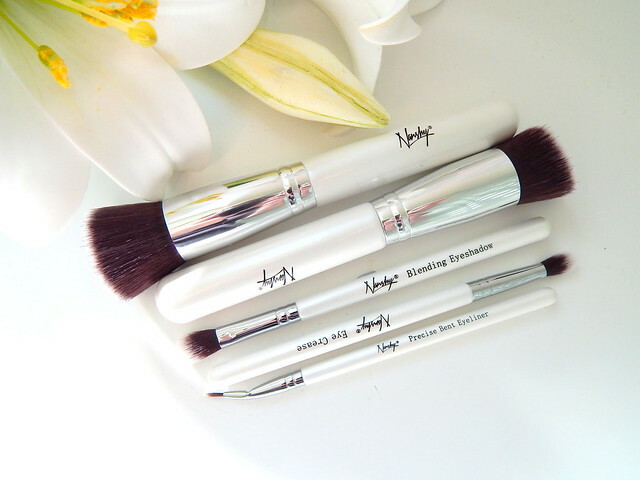 I love my nanshy eye brushes, particularly the tapered crease and blending brush. Never tried their face brushes though!